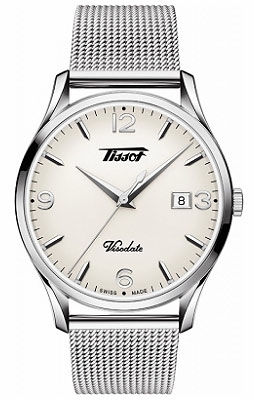 Tissot watches are defined by their signature, ‘Innovators by Tradition’, and famed for their class and versatility. Their wide selection of affordable timepieces for both men and women are imbued with the renowned Swiss quality you’d expect from such master crafters. 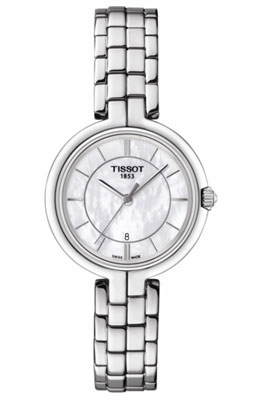 As official UK Tissot watch stockists, we at Banks Lyon offer a grand selection of these elegant pieces. Tissot watches are built upon the excellence of Swiss watchmaking engineering and refusal to compromise on the undoubted quality of such. Founded in the Swiss mountains of Le Locle in 1853, Tissot watches saw a father and a son join their incredible capabilities of a gold case-fitter and a watchmaker. 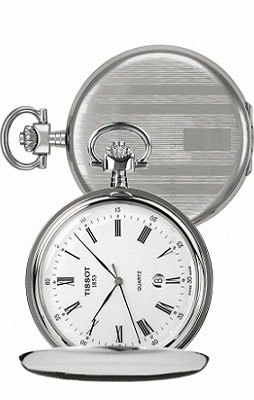 First creating pocket watches, Tissot women’s watches were next on their list in 1910, closely followed by Tissot men’s watches; all made possible by their undeniable innovative techniques, responsible for the creation of the first anti-magnetic watch in the world. Their electrical motors meant that mechanical production was gradually adopted, enabling them to pursue a serial production of meticulously made watches. True to their roots, the current headquarters are situated in the same town where a dedicated factory was built all those years ago. Whether you’re admiring the T-Classic collection or the Heritage collection, each timepiece celebrates the continuous innovation of Tissot watches and promises endless hours of precision with the high calibre repeatedly recognised by many. The company encompasses these values into their recognisable ‘plus’ logo, symbolising the Swiss quality and reliability set into each watch. 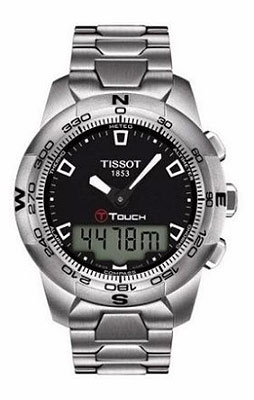 Not only appreciated by individuals around the world for accessible luxury and those looking for functionality and style in over 160 countries where they are available, the accuracy has achieved Tissot watches official timekeeper and partner status at many global events; namely, the fast-paced motorsports event MotoGP, NBA Basketball, the Tour de France and Ice Hockey World Championships. Their sporty presence and recognition can be appreciated too and used as an expression of your enthusiastic personality when wearing a Tissot watch from their T-Sport collection. Heavily involved in the world of sport, Tissot’s timepieces and chronographs also pay homage to the brand’s long-standing passion and support for the tradition-rich sport of fencing. 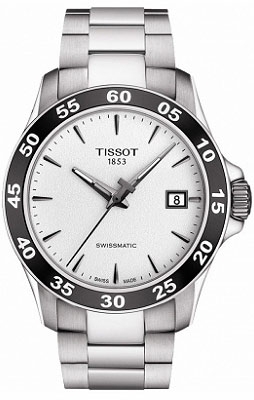 The suitability for the use of Tissot watching in fencing lies within the fact that this is one of the oldest sports where timing is so heavily depended upon, it is crucial. Just as Tissot showcases enviable cases of innovation, fencing also demonstrates such an attribute as a living illustration of tradition and innovation – the underlying pillars of this brand. From leather black or brown straps to steel metal bracelets (in a silver, grey or gold colour), these timepieces promise hours of durable and reliable wear. The dials sometimes feature date windows as well as a range of options from numerals, batons and even tachymeter bezels with transparent caseback, so you can truly appreciate the automatic movement from within. 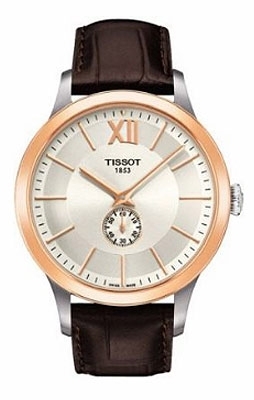 Buy Tissot watches on finance, with 0% available on all pieces above £500 with deposits starting from as little as 10%, you can spread the cost over a number of months to best suit you. You can also buy at your convenience in one of our Lancaster or Kendal showrooms or online. 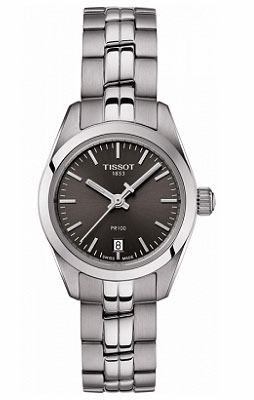 If you can’t quite decide which collection or model of our Tissot watches is ideal for you, or you are left with any other questions, please don’t hesitate to get in touch. Just pop into our Lancaster or Kendal showrooms, use our online chat feature or call us on 01524 381020. We have personal shoppers in store ready to dedicate their time and expertise to you. Contact us using any contact details provided or email us at personalshopper@bankslyon.co.uk today.